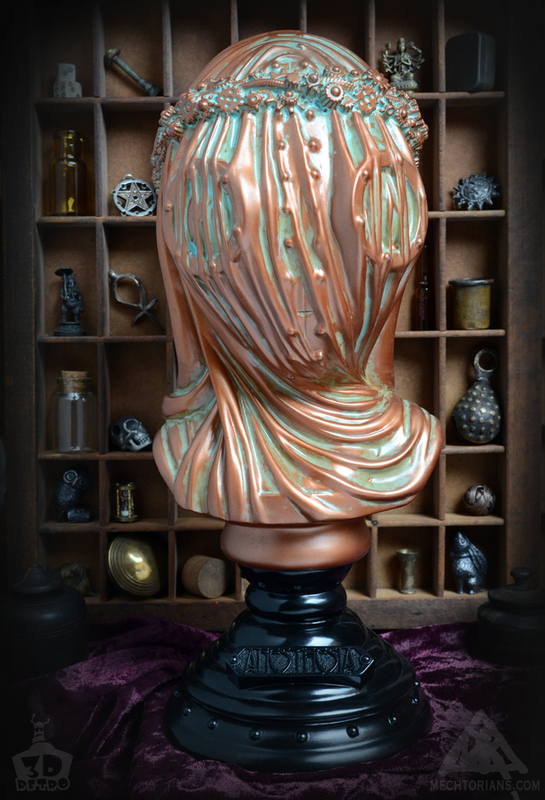 Today the APs of my Anesthesia Bust (White and Bronze editions) go on sale in my online store. AP originally stood for Artist’s Proof. It is a term from the printing industry. It referred to the sample prints sent to an Artist so they could confirm they were happy with the quality before the full run could go ahead. These APs were often kept by the artist and sold later as a little bonus income. Sometimes people collect AP prints rather than prints from the main body of the run. So sometimes the APs are more valuable as there are far less of them (traditionally not more than 5% of the edition size). In the Art Toy world the term AP has been adopted to mean the percentage of product that the company making the toy gives to the artist who designed the toy. This amount can vary depending on company and contract from a couple of toys to half the run. Though in my experience it’s not more than 10% of the run.